Au milieu des décors de la ville de Tokyo, des messages circulent par l`intermédiaire d`un signal rendu perceptible grâce à des objets génériques aux allures de sculptures. Un routeur wifi signale l'existence d'une ville en activité. La radio diffuse une voix qui annonce la météo du jour. Un objet rectangulaire blanc semblable à la forme d'un téléphone portable, glisse sur une surface en tissu aux imprimés faux bois. Un satellite en orbite géostationnaire au milieu des nuages synchronise son mouvement au rythme d`une respiration. La voix d'un GPS prend le relais et semble diriger enchaînement des images. La présence humaine est dématérialisée. Cette présence que l'on ne voit qu'à travers l'entité de la ville mais dont on entend les voix et les messages. Les corps ont pris la forme de ces objets sans fil qui relaient tout un tas d'informations. Des images nous reviennent en écho comme des repères, révélant petit à petit le chemin d`un signal jusqu'au point d'arrivée : L` île artificielle d`Odaïba construite sur des déchets. Gloires et Déclins invite le spectateur à observer les constructions d`un paysage contemporain, là où s`opère un glissement des identités. Clémence Renaud est diplômée des Beaux-arts de Paris et lauréate du prix paris jeunes talents ; elle travaille d`abord dans le cadre de résidences en France puis décide de voyager et part vivre à Tokyo. Elle expose en Europe et au Japon. Elle élabore un travail sous forme de sculpture sonore, d`installation et de vidéo, au cœur duquel objets/sculptures et spectateurs se rencontrent et s`interpellent. Refugees attempting to enter the European Union play a specific role in the relation between the EU and Turkey. The same European powers that routinely invoke “ human rights ” to justify military action in Africa and Asia (including the “ Middle East ”) deny all protection to survivors fleeing the slaughter they order. The EU border regime is responsible for tens of thousands of drownings in the Mediterranean, while Turkey has opened its borders to nearly three million refugees, more than all EU states combined. The film channels voices that not only go unheard but are quite unheard-of in the western “ refugee debate ” because if Europe is the center of the world, speakers like these couldn`t possibly exist. They are Syrian refugees who preferred not to seek a way into the EU, choosing to continue their lives in Istanbul instead. The Syrians describe their life as “ guests ” in the continent`s largest metropolis, which for 500+ years has sheltered survivors of wars and pogroms started by powers to its north and west. One thing they discuss at length is the difficulty of making a living in Istanbul. Another is the reluctance of the EU to admit more than a pitiful number of refugees, whom it treats collectively as a social pathogen, a mobile hazard to be isolated and “ made safe ”. All the conversations were recorded in Arabic in the days after the coup attempt in Turkey on 15 July 2016, which therefore also became a topic of the film. Quietly reversing the entire perspective of the “ efugee debate ”, the film develops a political analysis of Turkish and European politics from the standpoint of Syrian refugees. The speakers are not seen in the film. Their anonymity is maintained as a precaution against repression and unwanted consequences of all kinds. The interviews are combined with images made from long single shots taken in Istanbul. The words and images are accompanied by an experimental audio composition “ produced specifically for the film”which likewise bears witness to conditions of war and terror and to things left unsaid. Oliver Ressler, born 1970, lives and works as an artist and filmmaker in Vienna, Austria, and produces exhibitions, projects in the public space, and films on issues such as economics, democracy, forms of resistance and social alternatives. The film focuses on Nauru, a tiny remote island in the Pacific with 10,000 inhabitants. The narration discusses different voids that have shaped the islands past and future. The largest void is a physical one, the island is a raised reef consisting of calcite and phosphate on a volcanic base, which since 1906 has been mined and exported to Australia, to fertilise the former colonisers’ farms. When phosphate extraction came to a stop in the 1980s, Nauru was bankrupt and 80 percent of the land area uninhabitable and infertile. In an attempt to generate income, in the 1990s Nauru became a prime money-laundering haven. After the disappearance of soil and money, today Nauru involves in the “disappearance of people” - housing one of Australia’s offshore refugee detention centres. In a reaction to the criticism on terrible human right situation in the detention centre, Nauru severely restricted access to the island. Four whistleblowers, who worked as doctors and nurses in the detention centre, describe the institutionalised human rights violations in the offshore detention. Today a new void threatens the island, rising sea-levels threaten the coastal edge, which is the only area left for its inhabitants to live. Zanny Begg is a Sydney based artist whose work focuses on political activism and community. Her work is often collaborative inviting engagement with key themes such as resilience, financial disobedience and unthinking borders. Zanny has an experimental and research driven practice that works across film, performance, installation, activism and drawing. Zanny’s exhibitions include The Museum of Contemporary Art, Sydney, 2017; Sharjah Biennale, 2011; Istanbul Biennale, 2009. Oliver Ressler produces installations, projects in public space, and films on issues such as economics, democracy, global warming, forms of resistance and social alternatives. Solo exhibitions: Berkeley Art Museum, USA; Alexandria Contemporary Arts Forum, Egypt; Wyspa Institute of Art, Gdansk; Lentos Kunstmuseum, Linz; MNAC - National Museum of Contemporary Art, Bucharest; SALT Galata, Istanbul. Ressler is the first price winner of the Prix Thun for Art and Ethics Award in 2016. "Au Vénézuéla, une profonde transformation sociale a lieu depuis qu?Hugo Chávez a pris le pouvoir en 1998. Un large processus d?auto-organisation accompagné d?un grand nombre d?autres réformes est en cours. Dans le film ?Venezuela from below? les acteurs à la base de ce processus social ont la parole. Ils décrivent ce qu?ils ont fait et sont en train de faire, ce qu?ils pensent du processus bolivarien et quelles sont leurs attentes et leurs idées." Oliver Ressler est né en 1970 à Vienne où il vit et travaille. Ressler est un artiste qui mène de front des projets de différents sujets socio-politiques. Il s?est investi depuis 1994 dans des expositions thèmatiques particulières, des projets ouverts au public et des vidéos aux thèmes tels que le racisme, l?immigration, le génie génétique, l?économie, les formes de résistance et les alternatives sociales. Ses récents projets et expositions personnelles sont Alternative Economics, Alternative Societies (Galerija Skuc, Ljubljana, 2003; Kunstraum der Universität Lüneburg, 2004), European Corrections Corporation (installation en container à Wels, Graz and Munich, 2003/2004, avec Martin Krenn) et Boom! (avec David Thorne, depuis 2001). Ressler a participé à des expositions collectives telles que »fly utopia !« , Transmediale 04 de Berlin; »The Interventionists«, MASS MoCA ( Massachusetts Museum of Contemporary Art) ; »Emoção Art.ficial II«, Itaucultural Institute de São Paulo; »Banquete«, Centre of Contemporary Art Palau de la Virreina à Barcelone; »Conde Duque«, Centre Culturel de Madrid; »Attack !«, Kunsthalle de Vienne; »Empire/State: Artists Engaging Globalization«, Whitney Museum of American Art de New York; »Exchange & Transform«, Kunstverein de Munich; , »Steirischer Herbst«, Graz. Il a également participé à de nombreux festivals vidéo en Europe et en Amérique du Nord. En 2002 son film vidéo »This is what democracy looks like !« a remporté le 1er prix International des Arts Médiatiques du ZKM. Provocative documentary that exposes a personal look at the stigmatization produced by police forces and the state in the current xenophobic heritage. 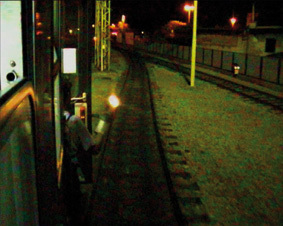 Using found footage, the film seeks to establish a social monitoring map available through the Internet, while following the journey of two marauding through the night. One of them will surely be stopped. Born in 1991, he currently lives and works in Cordoba, Argentina. A filmmaker and cinematographer, he studied at the Universidad de Cordoba. His short film Merodeo has received the Special Jury Prize in  FICValdivia and participated in several festivals. With his first feature film in progress, Construcciones, has participated in the Rough Cut Lab of the 49 Visions du Réel, the 31 MDQ Film Fest, DocMontevideo 2016 and the TransLAB 2015 of Festival Transcinema. In 2016 he received an scholarship to attend the IDFAcademy in Amsterdam, The Netherlands. Reynolds was born in Alaska, USA, and now lives in New York. His work includes short films and commercial productions. He works with the Alexandra Saheb Galleries in Berlin, T20 in Spain, and the Roebling Hall in New York. He has exhibited his work at the Contemporary Art Biennial and the KW of Berlin; the Bass Museum in Miami; the P.S.1 in Long Island; and the Phoenix Art Museum. 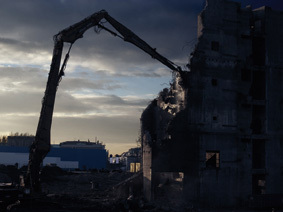 He participated in the X and XI Biennial of Moving Images in Geneva; in "Urban Realities ? Fokus" in Istanbul; in the Martin-Gropius-Bau in Berlin; and the Chelsea Art Museum in New York; as well as in exhibitions in Vienna, Los Angeles, and Zurich. His works are on permanent exhibition at the Elipse Foundation in Alcoitao, Portugal. Jolley was born in Ireland in 1965. He now splits his time between New York and London. He is primarily interested in photography and has created various exhibitions. He works with the T20 Gallery in Spain and the Roebling Hall in New York. In 2006, he exhibited his work in the Contemporary Art Biennial and the KW of Berlin; the Dublin IMMA (in collaboration with Focus); at the Fire Biennial of Caracas (Venezuela), and in New York. Before these he had already exhibited in NY (Chelsea Art Museum, Tina Kim Art, Ronald Feldman Fine Art and the Roebling Hall), in LA, Glasgow, and Vienna. His pictures are shown in a permanent exhibition at the Irish Museum of Modern Art -IMMA, Dublin. Reynold Reynolds and Patrick Jolley have been collaborating on short films for the past few years. Although they share similar aesthetic concerns, they are not intended to be set together. Res magazine recently included Reynolds and Jolley in their "10 Filmmakers to Watch" line-up, and their films have been screened at the Sundance Film Festival. Reynolds and Jolley met in 1995 in the graduate program of the School of Visual Arts in Manhattan. They came up with the idea of a short video installation, "Seven Days Til Sunday". Today they both continue to work on their own projects. Reynolds says that Jolley "is very interested in symbology. He likes to say that he makes work that is so loaded with symbols that it has no meaning." "Sugar" has been presented in the Roebling Hall, New York, and the Alexandra Saheb Gallery in Berlin, 2005. « Secret Life » est le premier des trois volets d?un cycle consacré aux éléments imperceptibles qui régissent notre vie. Dans « Secret Life », une femme est enfermée dans un appartement qui connaît un effondrement du temps. Alors que le temps est perçu tout à coup comme linéaire, l'espace devient une horloge qui fonctionne de façon circulaire et répétitive. De nouvelles durées s?invitent dans le rythme normal de la vie et l'appartement subit une explosion d?activités. Sans la certitude du temps, l'occupante de l'appartement n'est plus en mesure de rester au même endroit, et son esprit néglige l'organisation de l'expérience, la laissant seule avec les sensations. Ses pensées s?échappent d?elle et croissent comme des plantes dans l'espace autour d'elle, vivant, cherchant, débordant de son appartement, tout en la menaçant sauvagement, avant de mourir et de se décomposer comme des animaux. Reynold Reynolds est né en Alaska (USA) et vit actuellement à New York et à Berlin. Depuis dix ans, ses médiums de prédilection sont les films en 16mm et en Super 8. Il a créé des installations, des documentaires, des ?uvres faites à partir d?images trouvées, et a réalisé des films narratifs et expérimentaux. Reynolds met souvent en scène des psychologies perturbées et des thèmes physiques. Ses ?uvres ont été présentées dans de nombreux festivals internationaux et y ont remporté beaucoup de prix. The Palast der Republik (Palace of the Republic) Opened in 1976 as a meeting place for the East German people and an emblem of the future. The unique modern building made of distinctive golden-mirrored windows was home to not just the East German Parliament but auditoriums, art galleries, five restaurants, concert halls, and even a bowling alley. The building`s dazzling public lobby, surrounded by several tiers, was once the center of social life in East Berlin with thousands of sparkling lamps filling the open space of the lobby`s grand staircase. Many Berliners recall attending a play in one of the theaters or dancing the night away in the underground disco, others seeing their first rock concert, or being married. Later, thousands of citizens demonstrated against the planned demolition and hoped the building would be protected against historical censorship, but alas, one day, twenty years after the fall of the Berlin wall, the Palace completely disappeared. This day was the: Last Day of the Republic. Letzter Tag der Republik. Written by Gerhard Falkner Ich hatte einst ein schönes Vaterland das Weiß-nicht-mehr wuchs dort so schön das Weiß-nicht-mehr Weißt du noch wo du warst, als Troja fiel? Bist du in deinem Alter noch der Mensch. Der vor Karthago stand? Na siehst du: ceterum censeo. Sind die Wolken die einzigen Mauern die nicht fallen weil sie fahren. Die einzigen Mauern, die Posaunen nicht einreißen. Die fließenden Mauern. Ich bin immer noch nicht da, wo ich war, wenn ich weg bin. Ich stehe nach Abschluss der Arbeiten nun kurz vor der Beseitigung. Es wird schwer sein, mich zu vergessen, jetzt wo ich nicht mehr da sein werde. Meine Anwesenheit in der Abwesenheit wird nachklingen. Ein Koloss aus Beton, Geschichte und Zeit, der geht nicht, - ohne dass etwas bleibt, was noch verschwindet, wenn alles längst vorbei ist. Karthago ist auch nicht an einem Tage zerstört worden. Es wird bleiben ein Loch in der Luft, so groß wie ein Schloss. Mit oben lauter antike Figuren. Und unten lauter Figuren mit keine Ahnung von Antike. Das Schloss wird sich schließen um den versunkenen Bau und die Zeit wird im Schloss den Schlüssel umdrehen! Bis der Schlüssel (mit der Zeit) das Schloss umdreht. Und immer so weiter. die Philosophen haben die Welt nur verändert heute geht es darum, sie verschieden zu interpretieren am Besten pro Mann eine Meinung zu Allem dann bleibt unterm Strich alles offen und, wenn alles gut geht, kein Stein auf dem andern Bleiben werden: das Wasser über der Spree und die Wolken unter dem Schloss Alles andre muss fallen. Erst wenn die Wolken ins Gras beißen, wird dieses Stück Geschichte gegessen sein. Reynold Reynolds was born in 1966 in Central Alaska. During his undergraduate schooling at the University of Colorado, Boulder, Reynolds initially studied physics receiving a bachelor`s degree under the professorship of Carl Wieman (Physics Nobel Laureate 2001). Changing his focus to studio art he remained two more years in Boulder to study under experimental film maker Stan Brakhage. Reynolds then finished an M.F.A. in New York City at the School of Visual Arts. Influenced early on by philosophy and working primarily with 16mm and Super 8mm film as an art medium he has developed a common film grammar based on transformation, consumption and decay. Reynolds` depictions frequent disturbed psychological and physical themes, increasingly provoking the viewer`s participation and dismay. In 2003 Reynold Reynolds was awarded the John Simone Guggenheim Memorial Foundation Fellowship and in 2004 he was invited to The American Academy in Berlin with a studio at Kunstlerhaus Bethanien for one year. In 2007 he received the German Kunstfonds support to develop two projects in Berlin in 2008. In 2010 he will have a eight month residency at Akademie Schloss Solitude (Germany). The testimony of a patient as he is going through an eye operation serves as a starting point to talk about a working process that involves a slow search for meaning and concision. In "This Door, This Window", choreographer Alma Söderberg and musician Nilo Gallego create a blind duet, investigating the boundaries of the individual in a relation. Where do "I" end and does "we" begin? How can we live together with our personal rhythms? How do we influence, steer or manipulate each other? How do we find or lose each other? The film sits somewhere between portaiture and sonic performance, the result of fantasizing with a calculated "and perverse" use of sound and rhythm in order to consciously invade, connect, and alter the body. It reflects on the theme of cohabitation through sound, thinking of living together as a matter of listening and of negotiating rhythms, earworms and boundaries when there are no doors or windows to keep out sound, or inversely, anything may serve as door or window. ALEX REYNOLDS is an artist and filmmaker living in Brussels and Berlin. Honing into the intersection of portraiture and fiction, her films explore the expansive and invasive potential of point of view, empathy, and rhythm, often walking the line between tenderness and violence to insistently ask: how to live together? Recent exhibitions and projects include Querer parecer noche, Ca2m, Madrid, Every Object is a Thing but not every thing is an object, Hollybush Gardens, London; This Door, this Window, Estrany de la Mota, Barcelona; La timidite? des cimes, FRAC Lorraine, Metz; Playground Festival, Leuven; She is a Film, galería Marta Cervera, Madrid; Moving Image Contours: Points for a Surrounding Movement, Tabakalera, San Sebastián; We Can't Go Home Again, CAC, Vilnius; Elisabet, Lena, Tobias', National Music and Theatre Library of Sweden, Stockholm; A Trip to the Moon, Before and After Film, Bonniers Konsthall, Stockholm... Her films have been screened at festivals and programmes including FIDMarseille, Les Rencontres Internationales, Aesthetica Film Festival, Kunstfilmtage Düsseldorf, or Cinematek, Brussels. Louis-Cyprien Rials, Résistance, 2017. Vidéo. 5 min 30. Lituanie / Liban. Edition de 3 + 2 E.A Crédit : Louis-Cyprien Rials / son : Romain Poirier © photographie Le Curieux des arts Gilles Kraemer, Camera Camera, Nice, 23 novembre 2018. Remerciements l`artiste et Galerie Eric Mouchet Au Liban, près du village de Mleeta situé dans les montagne du sud-Liban, Tourist Landmark of the Resistance est un champ de bataille devenu musée du Hezbollah Libanais. Ouvert en 2010 au public, c’est un vaste complexe de bunkers et de collines, transformé en une subtile et étudiée mise en scène de la défaite d’Israël au Liban, en musée et en centre de propagande avec des obus, des carcasses rouillées de chars et de camions militaires. Des messages dans des mises en scène théâtralisantes.Lauréat du Prix SAM pour l`art contemporain 2017, Louis-Cyprien Rials bénéficie d`une exposition au Palais de Tokyo - 20 février au 12 mai 2019 -, commissariat d’Adélaïde Blanc. Il présentera le résultat de son travail lors de ses voyages en Ouganda, grâce à SAM Art Projects : Au bord de la route de Wakaliga. Né en 1981 à Paris, Louis-Cyprien Rials découvre la photographie au Japon, où il s’installe plusieurs années. Il vit ensuite à Paris, Bruxelles et Berlin, tout en réalisant de longs déplacements dans des zones de conflits et des lieux interdits au public. À partir du début des années 2000, il emploie la photographie et la vidéo pour tenter de saisir et de raconter la violence sous-jacente à ces territoires. Louis-Cyprien Rials a présenté son travail dans plusieurs expositions collectives ainsi que dans le cadre d’expositions personnelles, notamment à Hestia (Belgrade, 2018), à la galerie Dohyang Lee (Paris, 2016) et à IDK Contemporary (Bruxelles, 2014). Au printemps 2019, il réalisera deux expositions : « Par la fenêtre brisée » à la galerie Eric Mouchet (Paris) et « Au pied du gouffre » à la galerie Dohyang Lee (Paris). Avec « Au bord de la route de Wakaliga » au Palais de Tokyo, ces expositions présentées simultanément à Paris formeront une trilogie. Nothing Found 2013 ?Nothing Found? takes place in a transition period between Valencia and London, seemingly occupying both places simultaneously in a pensive mood. The spaces in the film interlace and disorientate our perception of time and place and are imbued with a sense of stasis ? an unknown and empty anticipation ? that is quite contradictorily connected throughout by incessant movement. It is a visual study that reveals spectatorship?s impossible empathy, or perhaps spectatorship as a form of innocuous voyeurism. On the other hand, it is a sensitive insight into the impossibility of finding oneself in reflection - as it is in reflection that we find more questions rather than answers. Charles Richardson is currently studying an MA in Fine Art Media at The Slade School of Art, London. Before studying his MA he lived 8 years in Spain where he did his BA in Malaga and Valencia. He also studied a year in Helsinki at the Aalto school of Innovation. Charles began as a painter and over his BA studies worked in many mediums ranging from performance to photography and sculpture. At the moment he is focusing on video as he finds it the most appropriate for his particular language of thought. Beach House is a film about a unique example of rural modernism, built on the UK coast of Suffolk by architect John Penn. Penn was an architect, painter, musician and poet whose nine houses in East Suffolk are all built with uncompromising symmetry adhering to the points of the compass in their positioning in the landscape they use a limited language of materials and form that were influenced by his time spent working in California with Richard Neutra. They are Californian modernist pavilions in the Suffolk landscape. -	Beach House is John Penn’s most uncompromising design in terms of idea as form. The film combines an archive film made by Penn himself on completion of the house with experimental sound recordings made during the same period and material recently filmed in the house to explore a convergence of filmic and architectural language and allow the viewer to piece together Beach House in its past and present forms. Emily Richardson is a UK based filmmaker who creates film portraits of particular places. Her work focuses on sites in transition and covers an extraordinarily diverse range of landscapes including empty East London streets, forests, North Sea oil fields, post-war tower blocks, empty cinemas and Cold War military facilities. She is currently doing a practice-led PhD researching modern architectural space in artists’ film and video at the Royal College of Art in London. -	Richardson’s films have been shown in galleries, museums and festivals internationally including Tintype, London; Tate Modern and Tate Britain, London, Pompidou Centre, Paris; Barbican Cinema, London; Anthology Film Archives, New York; Tulca 2012, Ireland; Maison Europeenne de la Photographie, Paris; Botkyrka Konsthall Sweden; The Wapping Project, London; Artprojx Cinema at the Armory Show, New York; FACT Liverpool; Danielle Arnaud, London; Wurttembergischer Kunstverein, Stuttgart; Uppsala Museum, Sweden and Venice, Edinburgh, BFI London, Rotterdam and New York Film Festivals. She was awarded the Gilles Dusein Prize, Paris 2009 in recognition of her films. Her films are distributed by Lux, London and Light Cone, Paris. VALI ASR ? JUILLET 2006 Ce film a été tourné en sept jours durant l?été 2006, à Téhéran, capitale de la République islamique d?Iran. Le tournage se passe dans la rue Vali Asr, la plus longue et ancienne de Téhéran. Elle court sur 24 km, du nord au sud de la ville en passant par le centre et dévoile une image d?idéologies et de classes sociales très différentes. Le nom Vali Asr signifie « loi des temps » et se réfère à l?imam Muhammad al-Mahdi. En accord avec le dogme shiite, l?imam Mahdi est le vingtième et dernier successeur direct du prophète. Il est dit qu?il vécu pendant des siècles dans la clandestinité, sans donner de signes publics. La constitution de la République islamique d?Iran de 1979 désigna à la tête de l?état le vingtième Imam al-Mahdi. Les érudits islamiques, les Ayatollahs, ne sont que les représentants de l?Imam, attendant sa sortie de la clandestinité. Douze visages sont présentés. Un objet personnel est associé à chacune de ces douze personnes, excepté pour la dernière, une jeune fille. Ces personnes avaient ces objets avec eux au moment où ils ont été filmés. Norman Richter was born in Heide in 1979. He has been studying directing at the "Konrad Wolf" Hochschule für Film und Fernsehen in Potsdam-Babelsberg. 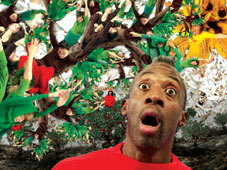 He works above all in the area of documentary and experimental film and video art. His film, "Sun in an Empty Room" was shown at the European Media Art Festival in Osnabrück along with "lobenden Erwähnung", from the German Filmkritik collective in the experimental film category. 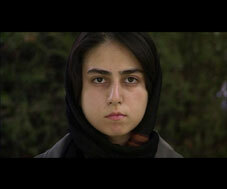 The film "Vali Asr - July 2006" filmed in Tehran was shown during the International Short Film Days in Oberhausen. Norman Richter's works have been exhibited in various international film and media art festivals, including: International Short Film Days, Oberhausen, 2007; European Media Art Festival, Osnabrück, 2005/2007; 25fps - International experimental Film and Video Festival, Zagreb, 2006; and the Ausstellung zum Marler Video-Kunst-Preis, 2006. Chaque fois qu?il rend visite à sa grand-mère, l?auteur du film avance lentement dans la pièce et regarde ce qui a changé et ce qui n' a pas changé. A chaque fois, il va dans le jardin, en suivant le petit chemin jusqu'au bout de la montée; là, il se retourne et regarde la maison. Séquences tournées en Mars 2007. Norman Richter est né en 1979. Il étudie la réalisation à l'HFF "Konrad Wolf" à Potsdam-Babelsberg. Il travaille sur les aspects expérimentaux et documentaires de l'art du film et de la vidéo. Il participe à des festivals de films et à des expositions dans le monde entier. Photographic Essay based on the eponymous novel by Imre Kertész ? Steinig did survive his own death. Stranded at an unfamiliar nameless airport of a big though strangely familiar city, he is looking for a way to ensure his survival in a system which condemns everyone who has not yet lost faith in individuality and freedom. Janet Riedel (1978) ist Fotografin und Grafikerin. Seit 2003 als freie Fotografin, Redakteurin und Herstellerin für Magazine (Du, corso), Werbeagenturen (JVM, Grabarz & Partner), Verlage (Carlsen, Rowohlt) und Theater (Kampnagel) tätig. Realisierung von Buch- und Ausstellungskonzepten. 2005 Gründung des Netzwerks für Neue Subjektive Fotografie ABSAGE AN DIE WIRKLICHKEIT; dreijährige Ausstellungstour durch Deutschland, nach Sydney, Hanoi. 2004?2007 Aufbaustudium für Visuelle Kommunikation/Medien an der HfBK Hamburg. 2008?2010 entstand der Fotoessayfilm FIASKO nach dem Roman von Imre Kertész in Zusammenarbeit mit Katja Pratschke/Gusztáv Hámos. Gusztáv Hámos (1955) und Katja Pratschke (1967)sind Medienkünstler. Ihre künstlerische Praxis umfasst Arbeiten mit Fotografie, Film, Video, Installation, interaktiven Skulpturen, wie auch die Kuration von Ausstellungen, Symposien, Filmreihen, und die Herausgabe von Publikationen. Aktuelle Ausstellungen und Projektionen: Tate Modern, Arsenal Berlin, Muzéum Ludwig Budapest, ZKM. Seit 2000 experimentieren sie mit dem Stillbild im kinematografischen Kontext - im Kino wie im Ausstellungsraum - untersuchen das Verhältnis von Stillstand und Bewegung. Seit 2006 kuratieren sie die Filmreihe VIVA FOTOFILM, die u.a. im Arsenal Berlin,in der Cinémathèque Quebeocoise Montreal, dem Múzeum Ludwig Budapest und der Tate Modern London zu sehen war. Parallel dazu initiierten und organisierten sie vier Symposien, dessen Ergebnisse in der Publikation »VIVA FOTOFILM bewegt/unbewegt«, 2010 veröffentlicht wurden. C'est une pomme sur un arbre, joyeusement accrochée en compagnie d'autres pommes, qui profite du soleil et de la caresse du vent. Cependant une pensée ne lui laisse aucun répit: elle aimerait savoir ce que c'est d'être un humain. Astrid Rieger est née en 1979 à Kronstadt, Roumanie. Elle vit depuis 1990 en Allemagne. En 1999 elle commence ses études à la Hochschule für Gestaltung (école supérieure de design), option "communication visuelle" à Offenbach . Elle obtient son diplôme en 2006. Zeljko Vidovic est né en 1975 à Livno ? Croatie . Depuis 1998 il étudie à la Hochschule für Gestaltung (école supérieure de design) à Offenbach. “ How camels become lions ” depicts the urge for freedom. Through 4 episodes we see 4 family members in a moment when they are tired of being a camel, as a beast of burden. They realise their tasks are meaningless and find themself in a spiritual desert. The camel wants to become a lion. A spirit that fights against the false values in order to find his own freedom. The title is based on “ Thus spoke Zarathustra ” by Friedrich Nietzsche. The character of Zarathustra confronts his audience with speeches. In his first speech he explains how you can become a free spirit through three transformations. The first stage is the one of the camel, willing to be controlled by others. During a second transformation, the camel becomes a lion, a rebel, who doesn’t allow anyone to tell him “ you shall ”. But, although the lion can react, he can’t create. For this, he needs to transform into a child. A child that thinks and acts independently of any structure. The characters of `How camels become lions` are in a transitional phase. Their state of discontent can be the beginning of a transformation to a lion, and who knows, afterwards, to a child. Lydia Rigaux is a filmmaker born and living in Belgium. Her work navigates between fiction and documentary. An idea can start both from a fictional story or reality, yet during the process of making the film the line between those two becomes thinner due to the attempt to eliminate all false elements. Also the search of finding the “ right ” image to capture a situation or environment sweeps away that border. It appears to her that a certain moment or setting can only be captured in this one image, the “ right ” image. The dominance of this search controls the content and gives the film its own subject. In this way, the film creates its own reality. Interrogating memory, horticultural, and philosophical elements through her endeavors, 11-year-old botanical prodigy Adeline’s mission is to propagate the mythical blue-flowering Echinopsis Subdenudata. Argentinian/British filmmaker, Jessica Sarah Rinland has exhibited in galleries, cinemas, and film festivals internationally. Her short film NULEPSY screened at Bloomberg New Contemporaries, NYFF, LFF, IFFR, AAFF and was broadcast by Canal+. She won ICA’s Best Experimental Film for ELECTRIC OIL at LSFF 2013. She had a solo exhibition DISSECTING THE EXPLODING WHALE at LIMBO Arts in 2013. She was Filmmaker in Residence at Kingston University, UK and resident at the MacDowell Colony, US in 2014. Her short film ADELINE FOR LEAVES won the Arts + Science award at Ann Arbor Film Festival, also playing at Oberhausen, Edinburgh, New Horizons and Encounters. With funding from the Wellcome Trust, she co-curated a symposium on the subject of cetaceans at the National Maritime Museum, UK in September 2014. 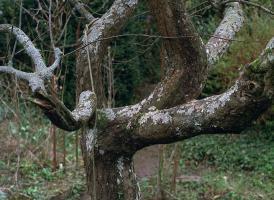 The film explores a common land in the south of England, and the natural history society who occupy it. After two years of filming, the rushes were shown to the society - their memories and responses were recorded and used as the film’s narration. The film does not give access to complete knowledge of the history of humans within the area. Instead, it explores more generally, human’s relationship with and within landscape and nature. Argentine-British artist filmmaker, Jessica Sarah Rinland has exhibited work in galleries, cinemas, film festivals and universities internationally including New York Film Festival, BFI London Film Festival, Rotterdam, Oberhausen, Edinburgh International Film Festival and Bloomberg New Contemporaries. She has received grants from Arts Council England, Wellcome Trust, Elephant Trust and elsewhere. Residencies include MacDowell Colony, Kingston University, Locarno Academy and Berlinale Talents. Her most recent multi-screen, randomized installation We Account The Whale Immortal was exhibited at Somerset House, London in 2016.